10+ Free Learning Online Events for Educators This Month! 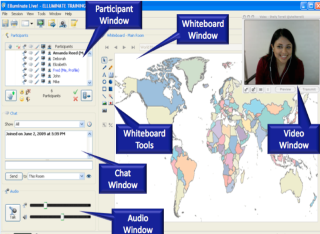 Thanks to the American TESOL Institute, I conduct free 30 minute online webinars on the Adobe Connect platform every Friday at 4pm EDT (New York Time), 3pm Texa, 1pm LA, 5pm Brasilia, 9pm London, 10pm Paris, 11pm Athens/Istanbul, Sat 8am Sydney time, and Sat. 6am Tokyo time. Fri., Oct. 12th, Wicked Activities and Sites for Halloween! Thanks to the Simple K12 I will be presenting with several other educators on their Day of Learning, Sat., Sept. 29th; Day of Learning: iPad, Sat., Oct. 13th; and Day of Learning, Sat., Oct. 20th as well as on other dates. Don’t miss the Library 2.0 Virtual Conference this Wed.-Fri., Oct. 3rd-5th. Speakers from various countries will be sharing their ideas, lesson plans, and expertise. My presentation, Research on the Go! Preparing Libraries to be Mobile Friendly, is on Wed., Oct. 3rd, at 1pmNYC/6pmUK. Find the webinar link and the full schedule here, http://www.library20.com/page/sessions-and-schedule. The online webinars are FREE and will run from September 26 to October 4, 2012. Topics include: TwittEd, Online Libraries, Educational Virtual Trips, Classroom Teaching via Role-Playing Games, Mobile Apps, Tech in Music, Pinterest, Tech in English, GMail Makeover, Open Source Software for Education, Google Apps, Presentation Software Alternatives, Tech in Language Education, Podcasts in Education, Online Dietary Tools, or simply, topics in the realm of Educational Technology. Find the times, room links, and more here http://bit.ly/educ190webinars11213a (EDUC190 WF1) and here http://bit.ly/educ190webinars21213a (EDUC190 WF2). Attend one of these conferences, invite a colleague new to free online professional development, and write a reflection about the experience on your blog or on your social networks.